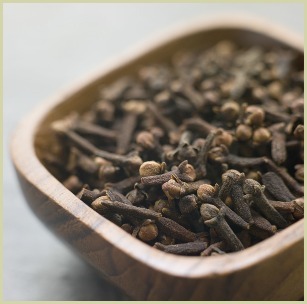 The health benefits of cloves and its oil have been known and utilised for thousands of years. They were important in ancient Chinese and Indian medicine, and are still used today in a number of ways. Medicinally you can use them in a couple of ways; either using the powdered form or the extracted oil of clove. In Ayurvedic medicine, Indian doctors also used it for digestion, and to ease breathing problems. Some African healers utilise the benefits of cloves by diluting them in water to treat nausea and diarrhoea. In ancient Chinese medicine, they were used to ease digestive problems, as well as to treat fungal infections. This extract can come in the form of an infusion, lozenge or mouthwash. Another way to enjoy the benefits is to make a potent, warming tea from them. Click here for my recipe. And has also been used to reduce fever, to regulate blood sugar levels and even to repel mosquitoes! But remember, no matter how you use them, either for cooking or for the health benefits, if you want to get the best out of them, keep them in a dark cool place out of direct sunlight. Whole cloves will retain their flavour much longer than the pre-ground powder. If you need the powder for your recipes, it's so much better if you buy whole and grind them in your coffee mill before use. Read more about the uses. Turmeric - The Healthiest Spice in the World!